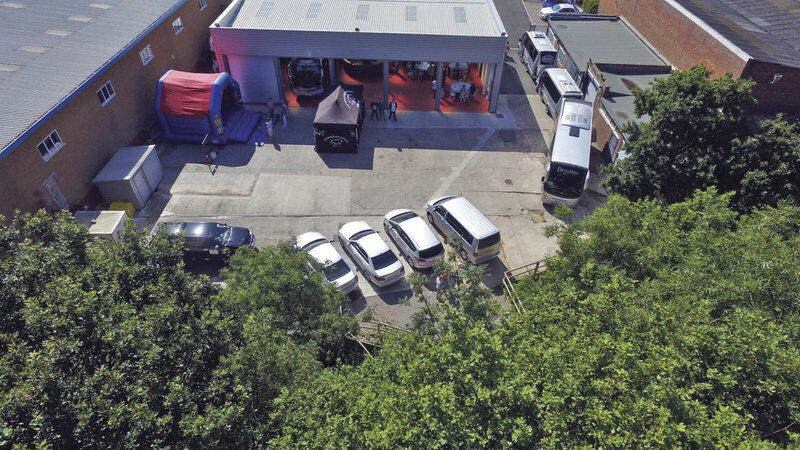 After years of operating out of rented commercial units, Brookline Cars Ltd bought its own site back in December 2013 on Princes Drive Industrial Estate, Kenilworth. 2014 was spent demolishing the majority of the site prior to the completion of a bespoke unit with five 14 meter long bays to house the coach side of the business. Each bay has fully automatic doors with one bay dedicated as a service lane. The large rear yard has ample vehicle parking along with a purpose built vehicle wash bay and coach toilet drop facility. One of Director Simon Brook’s aims was to create a more pleasant working environment for everyone in support of which a drivers rest room and kitchen was created inside existing buildings along with refurbished offices and toilet facilities. ‘We have created a small decked seating and smoking area which overlooks the onsite pond, complete with resident ducks and a view of local cows in the next field’. In celebration of 50 years of operation, Brookline held an open day for staff past and present, along with suppliers and customers. The sun came out and everyone enjoyed a fun family afternoon with bouncy castle, bucking bull and a hog roast. 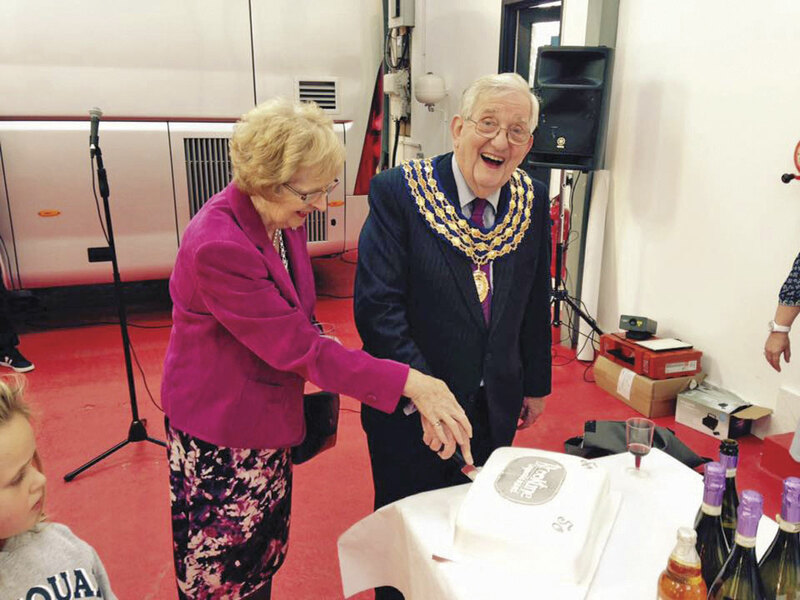 The Mayor of Kenilworth attended the event to address the guests and cut the birthday cake. Simon put his head in the medieval stocks and many staff queued to throw wet sponges at him with all proceeds going to the Warwickshire and Northamptonshire Air Ambulance charity. 50 years after Elsie Brook, Simon’s Grandmother, started out with a Hillman Imp, Brookline Cars has grown through the leadership of Simon’s late father before Simon took over the reins some years ago. The core business operation is executive chauffeur transfers with a fleet of modern fuel efficient Mercedes Benz and Volvo cars. Under Simon’s directorship the operation has diversified to include the addition of coaches for further expansion.